Whether you're a beginner, an amateur, a professional or a teacher, you will find this book an excellent means of continuing your musical journey. This is a step-by-step guide to help you develop essential skills for improvisation. 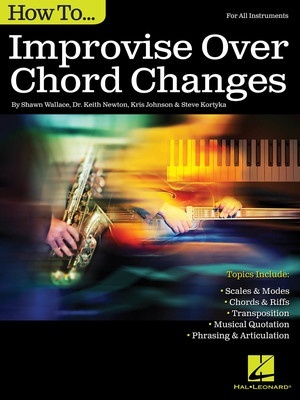 The concepts presented are first demonstrated over the 12-bar blues progression; in later chapters, the ideas are realized over rhythm changes and in original compisitions based on the chord progressions of jazz standards. Topics include: scales and modes • chords and riffs • transposition • musical quotation • phrasing and articulation.